NEWSBREAK: RYAN REED WINS IN DAYTONA…..Diabetes at 187 mph!!!!! I have no voice from screaming at the TV. Car accident after car accident. But still, he kept coming back. In a race that went into overtime…. Ryan Reed won at Daytona tonight in one of the longest races ever on record. My heart was pounding through my chest as I screamed at the television watching this young man who not only has won over an entire diabetes community….today he beat three powerhouses with incredible driving to win….and win over the racing community with INCREDIBLE DRIVING………and won big in Daytona. And yes he mentioned the wonderful folks at Lilly who sponsor him and yes, he mentioned that it is a big win for people like him with T1D. He again showed poise, grace, and deflected all attention to his team. Congratulations to his family, his team, and Lilly Diabetes for sticking with a winner. Nice job, all. But it’s Ryan at the wheel. It’s Ryan on the gas. It’s Ryan checking his blood sugars at 187 miles per hour. It’s Ryan at the checkered flag. LIVING with diabetes. DRIVE that home to your kids. Kids Just Don’t Care Anymore?? That Phrase is Thrown Out the Window!!! We hear it all the time. Young people. They lack enthusiasm. They are lazy. They have become cold. They are too ‘into’ themselves. They just don’t care. Well………tonight I experienced something that I wish so many could have witnessed; but more than that I wish everyone in the diabetes community could have witnessed. Education for T1 diabetes. Education for T2 Diabetes. Entertainment. Exciting. Fun. Caring. This event had it all…….the only phrase, BEST phrase…….is AWE. Tonight was DiaBEATthis at West Broward High School. The stands were packed. DiaBEATthis has so many facets to it but in a nutshell; it is an educational out reach that also raises funds. This event was for the DRI. When I saw the event was 3 1/2 hours long, I thought what could this be about——–I looked at the time and it was 5:20 pm—–next time I looked it was 9:03 and the event was over. West Broward High School, in Florida, is a typical high school that could be anywhere in the United States……or so the outside shows. Once inside, honestly, you feel almost immediately that this school is different. The kids smile at you as you walk in the hall way and when a stranger is there (me), they ask if you need help finding where you need to go. They all pitch in to help. The compassion is quite clear from the get-go. This is a school that has a mission to break down barriers….EVERY barrier that high schools have to deal with; West Broward HS—-is impacting these kids and you feel it immediately. There is a group in the School called the S.O.A.P. Club and these are very special kids as well. Over 50 of them ran this event from conception to completion. Ms. Muniz, the faculty advisor is very quick to point out that these kids do everything themselves and the kids are very quick to point out that Ms. Muniz is tireless in her efforts. They are a good team…..a GREAT team in fact. Even alumni of this club/event returned for evening. When a young lady is sharing her story/struggles dealing with T1, she finishes her speech and breaks down in the middle of the gym floor in front of the entire crowd; what happens? She is surrounded by these special kids who spontaneously join her in a group hug–not caring who is watching—only caring……..there was not a dry eye in the house…..mine included. It is a school that operates as one team. Where all kids set up and clean up; and it is not uncommon to even see the assistant principals sweeping the floor to help get the job done. No one is to ‘big’ to do anything in accomplishing the end goal. There were speeches about diabetes and there were so many groups dancing, cheering, playing music…..all to educate the crowd about one thing, diabetes. Let me show just some of it to you in pictures. Full Crowd supporting this great event. These little cheerleaders made up a cheer about curing diabetes. They bought the crowd to their feet. …and then the older cheerleaders had one of their own to show. When was the last time you saw a marching band…indoors….Robotic Inspiration I named them. Timing like you would never believe. Dancing like I have never seen…..flags were not only flown; with these kids the flags became their dance partner in a routine that astounded the crowd. It was also a basketball game. A competitive basketball game that had rules that included all-inclusive of kids, teachers, male, and female. Kid yourself not, these teams wanted to win and the game was as exciting as everything else was this evening and in the end, the home team were the victors—–after losing the year before, the trophy was back home. But there were no losers here…..the sportsmanship shown on and off the court was admirable, but let there be no mistake, this was a competitive game ending in a 53-48 win that changed leads throughout the entire game. ……the compassion of her kids in the S.O.A.P. Club filled the County of Broward. I could not control my tears driving home tonight. Not all of the kids have diabetes, but some did. These kids united a crowd tonight and presented some of the likes which I have never seen. The energy, the excitement and the love filled the air. Kudos to the leadership in this school. I gave away a piece of my heart today. They will stay with me forever; they are West Broward High School. Do You Wait on Diabetes? Probably a Mistake! Diabetes is a beast. It takes what it wants, when it wants. As in anything like this, the only way to have any peace is to do everything you can to tame the beast and the ONLY way to do that is with education. I have heard people say that they get annoyed when it is stated that you need to own this disease, “You can’t possibly own it, why do people say that?” Totally? No, you can’t. I had a friend, recently, who became very, very sick. The doctors said that if he was not in as good a shape as he was, the outcome could have been completely different. The absolute perfect picture of health, but still he was stricken and hospitalized. He could only do what he could do in life, after that, there is no control. What is control is that he was in great shape, it may have saved his life. Diabetes is still going to throw curveballs to anyone who has it. It’s the nature of the beast, BUT how much are you leaving for chance and how much do you KNOW is the question you need to ask yourself and only you can answer. Is the care you are giving your child being rocked by every little ripple that diabetes throws daily, or have you educated yourself enough to know as much as you can……..and then learn even more? Does your child have the best management tools that your finances can afford? Have you asked a million questions so you know everything that will happen based on carb consumption vs. insulin distribution? Are you guessing? Diabetes is a very difficult disease to understand. And even after you do everything you can, you still are going to be thrown for a loop. But how much work have you done? Even those who ‘master diabetes’ still have days that are very, very tough. So if you are just relying on any given day for diabetes to treat you well, you may be waiting for a long time. If you are taking diabetes on with a fully educated arsenal of knowledge; you will be ‘luckier’ than others. The harder you work at it, the ‘luckier’ you will be. Diabetes takes a lot of work…….and even then; some bad days will lay ahead. How hard are you working at it? Because even when you work at it…….really work at it, there is still hoping for a good day………..involved. Ever Have a ‘Situation’ with YOUR Health Insurance Company????? In life, many things are not as you would think. The signs may point to one thing, but once you are ‘through the gate’ you find that it is something else altogether. I am contacted a lot about insurance companies. What is covered, what is not covered. Why are they so difficult to speak to? Why don’t they cover everything? Why did they used to cover XYZ and now they only cover ABC? Let’s get together and ‘get’ the insurance companies to do THIS or THAT; who is with me? The first thing you must understand about insurance companies is that they are a business. Business has one objective at the top of their pyramid….to make money. Make money for themselves, make money for their stock holders, whatever. I learned a valuable lesson a long time ago. There was a woman who worked part-time. Her company only covered full-time employees. When she inquired as to why they did not allow part timers to ‘buy in’ to the full timers policy, she was told it was not an option. The why, she later found out, was the ones asking for it—are the ones who wanted it—for a reason. Why would an insurance company encourage a liability on their dockets if they do not need to? Some people believe that insurance companies are a service organization, they are not. That is not a bad thing, but it’s something you need to realize and understand. If you have a child with T1 diabetes (or any chronic disease) on your insurance, the insurance company automatically knows they will probably lose money on your family. THAT is not a good thing for them. Because of all sorts of rules, laws, and regulations, insurance companies have to add you if the rest of the employees are being covered. They will learn pretty quickly that you are not one that they will earn a profit. Now look at this differently. If there are two million people with T1 diabetes, insurance companies need to work for less damage to their bottom line. They know they must pay out to cover you. But let’s say they pay less for you and you have to shell out an additional $100 a year from you, and they save $100 per person by other means—–they just saved 400 million dollars. Get it? So when you call them, you have to know in your mind that they will be doing something to save money. It’s your job to know what your insurance covers and how to ‘counter’ when they push-back on something you need. Know the process to appeal any decision that you know is needed. Know that ‘X’ which is a different brand name from your ‘Y’ may be something you need to live with if you want it covered by your insurance. I’m not sure if this is a way to wear you down, but the more amount of steps you need to rectify something, or the more amount of calls you have to make, or the more amount of paperwork you have…….the more likely you will ‘give-in’ and just do it any way that is easiest………..my advice on that………………don’t. I never speak to someone who has to go to someone else for an answer. Ask for a supervisor. Ask what can you do to change the ‘no’ into a ‘yes’. ‘Let me see’, or ‘let me check’, or ‘maybe’ are all phrases you want to hear……you do not go from a ‘no’ to a ‘yes’ without passing through one of these phrases. Also know there is no such thing as a quick call to the insurance company. Call when you have a good deal of time to spend to solve the problem. Take down notes; who you spoke to, the date, the time and what was said. And NEVER hang up until you ask; “Who should I speak to next to help me resolve this?” If they say they don’t know, ask to speak to someone else there in a supervisory position who can advise you where to go next. DO NOT LET THEM OFF THE HOOK. The other thing about being a business is that they want customers satisfied. There is a difference between strong and rude; inquisitive and challenging; and making them your partner to achieve a correct solution………but know how it is all played out. Also know that the answer may indeed be a ‘no’. If you exhaust every avenue, appeal, and inquiry—know that what you are asking is JUST NOT possible. But always be willing to give it a good and educated shot. So although things may not always be as they seem, we also do not have to merely accept the answer without a good and detailed discussion on doing what is right for your family. Our best insurance, is our willingness to ‘work the system’. The best way to know that, is to do it. What is the Stupidest Comment You EVER Heard Dealing with Diabetes? DO they really mean, how are you? Do they really want to hear how we are? Is it ‘new language’ for just plain everyday, “Hi”? If everything is fine, the quick answer of ‘Ok’ or ‘Fine’ allows the conversation to continue seamlessly. But what if you answer what really is going on? What if you tell them who died, who is sick, who lost a job; well, honestly, are they really asking for the rundown in your life? Some people really WANT TO KNOW how you are, they really do. But in most case, I believe, it is a courtesy. It can be the same thing when asked how your child with diabetes is, right? Do most people really want to know how they are doing, or are they asking hoping for some sort of ‘positive’ answer that will allow the conversation to continue? Does this exchange sound familiar at all to you? I have come to learn over the years, who I know who is REALLY asking how my kids are doing and who is asking as if checking in on a weather report. Sunny? Great. Cloudy? Okay. Storm? Don’t want to hear it. It used to frustrate me until I started taking mental notes on who was asking, REALLY ASKING; and who really is not asking but wants to be courteous. It was also a very important lesson for me to learn as well. I learned that I, at times, could be just as I now see others. I really did not want to hear the whole story. Perhaps it’s just human nature. Perhaps we are too much in a hurry. Perhaps we have our own problems and do not want to hear about someone else’s mess. It was a hard lesson learned, Now when I ask, I mean it. If I cannot spend the time, I do not ask. Of course some people wait for the ask so they can unload every problem under the sun to you. That’s a tough call as well. But for the most part when people ask, I answer and leave the closing of the sentence open-ended enough to answer questions, but closed enough that allows the person an out, if they ‘really’ do not want to hear more than ‘we are doing okay’. And many times, the people who REALLY do not know, come up with the stupidest way to close the discussion. It has taken me a long, long time to let these comments just roll off me. I don’t get angry anymore. ……………….and on……and on…….and on……and on. NEWSBREAK: Interview with a REAL Winner…..Oh Yeah, He Won Daytona Too!!! I had the opportunity for a one-on-one interview with NASCAR Xfinity Series ‘checker-flag’ recipient, Ryan Reed, shortly after his huge victory at Daytona National Speedway last weekend. This remarkable young man is not only taking NASCAR by storm, he and his partners at Lilly Diabetes and The American Diabetes Association’s Drive To Stop Diabetes, are also allowing many other people, mostly young people, to meet Ryan and hear his story first hand. Lives are being changed. As you listen to Ryan speak, it’s as clear as can be that his passion for being in NASCAR may very well only be surpassed by his desire to touch lives. And he’s doing JUST THAT. Thank you so much for taking the time today; and first of all; congratulations on your big win. Ryan: Thanks it was a fun weekend. In the race, you have two laps to go, you are 4 cars back. What goes through your mind at that moment? Ryan: You take it ‘corner-by-corner’. Trying to take advantage and deal with the fact that the leader can just pull away. I was side-by-side with the 33 car and when a few cars ‘got together’ (collided) I was in a good position and took advantage in the back straightaway. During the race when the two cars got together, where you surprised that the yellow caution flag did not come out? Ryan: I was concerned. But the two cars that got together; they keep moving onto the grass and emergency vehicles were not needed, the race officials will allow the race to continue and not display the cautionary flag if there is no perceived danger. You just never know, you cannot think about it and need to just keep going. I have heard you say that you drive with gloves on and checking your blood sugar is not an option by finger pricking; you use the Dexcom; who is looking at it, you, a pit crew member? Ryan: I have 5-6-7 gauges that I have to keep an eye on located on my dash, the Dexcom (receiver) is one of those gauges; it is not inconvenient at all to keep an eye on it while racing. Was there anything that needed ‘tending to’ during the race from trending up and/or down? Ryan: No it was pretty much business-as-usual. Between the heat in the car and the adrenalin pumping, I stay hydrated. I pretty much stay where my number is at levels I need them to be. I start at about 100-120 and usually end the race at around the 180-200 range. You have been around the track since age 4; who inspired you? Ryan: My dad, I was always pulling for him when he raced. There were a lot of guys that I learned from who broke into the race when they were young. I looked up to them to learn some things because I knew as a younger race I would need to know; a few guys really inspired me as I started to get into it. Did you always have the ‘need’ to go faster? Ryan: Anything that had a motor was always a lot of fun to me. Growing up it was, and still is, fun for me to do. I enjoyed motor cycle riding but, for me, it was always NASCAR. I did not want to compete with motorbikes; it has always been about being 100% on a NASCAR track as my goal. You’re 21; is 21 considered young for racing? Ryan: In the Xfinity Series, you can start at 18, and you will find 18-25 as an average but racers are in this series at 55. So the ages can, and do, vary. Ryan: It was a tough time in my life and that transition when I was told I could not race any more. The turning point came with my Doctor, Dr. Anne Peters. She had a very different outlook on it. She was just so confident and instilled the confidence in me that if I gave 100% we would make it happen. From that point forward I was never worried about getting in a race again, and just wondered how we would do it. You are diagnosed. You deal with it. You now go back to your parents and you say you want to get back out on to the track; what was their reaction? Ryan: They were super supportive. They knew the track is where I wanted to be and there were some who stood up and said ‘No’ you can’t do that, or we don’t want you to do that, that was a conversation we never needed to have. 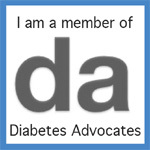 I would like to talk a little about your relationship with Lilly Diabetes and the American Diabetes Association. When you look at your car, and you see those logos, they must represent more than a sponsorship. It makes a statement to the world. How does it feel knowing that you all work to make real differences in this world? Ryan: Absolutely. I think we have one of the most-unique partnerships in motor sports or in any type of sports marketing in the country; or the world. The partnership among us, Lilly Diabetes, and The American Diabetes Association is just so organic, and pure. Three organizations working together for a common goal to raise awareness and send a positive message. I do not know how you can get more pure a message. The main reason is to spread a positive message about diabetes. Last weekend when I jumped out of my car, I did not have to talk or rattle about sponsorships but I could tell my story and how much this (the win) means for people with diabetes. I cannot thank Lilly Diabetes and the ADA enough for teaching me how important it is to tell my story and try to make a difference. It’s rare and really cool. Tell me about the meetings that Lilly Diabetes and the ADA’s Drive to Stop Diabetes (click to learn more) set up for you where you meet kids around the appearances of your race schedule. Can you tell me what those meetings are like when you see all those young people? Ryan: We sat down and figured out how we could design Drive to Stop Diabetes, you know away from the racetracks. Hospitals, diabetes camps and any place that is involving kids. It’s the coolest part. Not to just tell my story but hear about the kids doing sports all year round where diabetes doesn’t even phase them. For me that is what it is all about. It is what makes it all worthwhile. What do you say to kids who say, I don’t think I can reach my dreams? Ryan: It’s hard. If someone tells them they can’t…a coach or others; I went through all that and do all I can to get them to stay positive and use any example, either my story with racing, or other stories of people I know to go out there and do what they can. The last thing I like to do; is mention a word or a phrase, and you tell me the first thing that comes into your mind? Nothing between you and the checkered flag. Ryan: What we work for, that’s what it’s all about; winning races. Seems to me this young man was a winner long before he ever crossed first in front of a waving checkered flag. I had the chance to speak to a new mom. Well she is not a new mom, but a new mom where diabetes has become the new normal. Let’s just call her ‘S’. ‘S’ asked me to call her because she had questions about her nine-year-old who was diagnosed only a few weeks ago. She may have called to ask whatever advice she thought I may share, and yet, it was she that taught me a very important….re-lesson. I COULD HAVE ONLY WISHED I had the wisdom ‘S’ had when Kaitlyn was diagnosed over 22 years ago. She is wise beyond someone who is just so new at the entire situation. So new and she has learned the denominator that will keep her entire family going in the toughest times. What a reminder. There are situations that are broken with humor/laughter that only the people involved need to get. One of the largest heroes in my life is my sister JoAnne. I have mentioned her before and I am not telling you this for any other reason but you understand. My sister has been severely attacked by MS. From her neck down is nonfunctioning. But her mind is as sharp as a razor. She loves to laugh and anytime I feel sorry for my self for any reason, I remember that I have never heard JoAnne complain…….ever….EVER….NOT ONCE. Every time I see her, I say the same thing. I won’t share it because it is ours and will stay ours. But it makes us both smile. No one would understand, and we do not care whether they understand. It breaks my heart when I think of how she used her body in a gymnast manner growing up, the way she could bend or jump, and now her own body has become her enemy. BUT if JoAnne does not want anyone to feel sorry for her, humor helps us through it, I will abide by her wishes when I am around her. I wish you could all meet her…..you would love her like we do. She is electric, and she is the ‘go to’ person when it comes to movie trivia. She laughs like no one else. So when “S” asked me if humor was okay, in the manner she handles diabetes; I say you go girl, and your entire family as well. Does “S” cry when she is alone, does her husband? Bet on it that they do, but to attack this disease by learning all you can and somehow find the humor, or to use humor so your kids can understand it better and accept it better…………………is such an amazing thing to learn so soon after diagnosis. Have you found the use of laughter in daily struggles?? ?—-PLEASE SHARE with all of us. I am going to bet that “S” and her family will be just fine. It’s a good reminder for all of us. She taught me, again. “S” was MY hero yesterday. When was the last time you found something to laugh about? Is diabetes funny? Not in one iota. But using humor in how you handle some aspects of diabetes, as in anything in life, just may be something worth thinking about. Try it. Brag…….Go Ahead……I Dare You……BRAG ABOUT YOUR CHILD!!!!!! On this day, let pride win. Instead of feeling the hurt, the pain, the grief over diabetes being in the life of your child, why not choose NOT TO GIVE IT SO MUCH attention—-just on this one day. Brag about your child. Be proud. Brag to us all……about anything. Choose the fact that your child went to practice today to play a sport they love. Choose the fact that your child rehearsed for the school play today, because they love to sing and/or act. Choose the fact that they checked their own blood sugar. Choose the fact that they played with their friends. Choose the fact that they went o a full day of school. Choose that they made you or a family member laugh or smile. Choose that they were playing with your pet today. Choose that they told you they loved you. Choose that they did something without being asked. Choose that on this day……you decided that diabetes should just not be in the spotlight. Even if they went low or high, choose to celebrate that they bounced back and got back ‘into whatever they were doing’. Just for today….do not let diabetes remind you how much it can do, choose to let diabetes know what it won’t do……………………just for today. Feels good….don’t it? Try it again tomorrow……..three days in a row you will have a pattern. But……it…..begins…..with today. Choose. What will you choose to brag about??? ?……..PLEASE SHARE. Putting you Child in a Bubble; You Will Get What You Seek. Turning down every chance you’re given. How the hell can you call that livin’? I have been thinking a lot about the pathways our children will take. As I reported the news on Ryan Reed’s huge victory this weekend in Daytona, I could not help but wonder what it was like in his house growing up. How often do we tell our child ‘no’ on something? How do you think that played out in the Reed household. Right? I’m thinking the same thing. We as parents are always faced with two decisions; yes….and no. Pretty simple right? Of course not and any parent will tell you that there are so many decisions that do not come with any ease whatsoever. We labor over decision after decision. We labor on the right and the wrong? We labor until it pains our hearts to allow our kids the platform to grow and expand their horizons. But do we? And THAT is the question we must ask ourselves before we answer anything else. Are WE the ones who hold our kids back for fear of what COULD happen. And why? What is the worst that could happen to them. They fail? They get hurt? Why get a driver’s license ever (much less be a professional racecar driver)? Why Ski? Why mountain climb? Why play sports? The answer of course is simple, because they want to; that’s why. You can find a thousand excuses not to do something, but you only need one good reason to do the same thing. Your kids deserve that thought process. Think about it. The Oscar, for Their Role as a Person with Diabetes…..Hmmmmm. Fantasy??? As I watched the Oscars tonight, I am sure I was not the only one who was struck boldly by the winners of Best Actor and Best Actress. It might be that I am so linked to the diabetes community but I had two distinct feelings. Fabulous. And; when will see diabetes? In case you did not know, Eddie Redmayne won his Best Actor Oscar for his portrayal of Stephen Hawkins in The Theory of Everything depicting his decline in health due to ALS, or Lou Gehrig’s Disease. Julianne Moore followed up with a Best Actress Oscar in Still Alice; a revealing look at a woman’s battle with Alzheimer’s Disease. Very compelling performances, both. Two devastating diseases highlighted and recognized. Wow! What would the movie be like, of a parent or an individual battling T1? How would a movie maker proceed to show a side that no one knows; in a compelling and complete story-telling presentation? It cannot just be a film that resonates with us, but with the general public as well. What do you think? Could it be done? The real problem with film making is that it may seem like it is important to some people but it MUST be presented in such a manner that resonates with the public as a whole. How can that be done? Before you answer, you need to remember the many sides when diabetes is presented. Online initiatives and commercials are many times met with opposing view points. Too rough for our children to see, my kids should not see the complications, and we need to protective our kids so they do not to see ‘this’; are just some comments that have come forward—I am NOT stating if they are right or wrong, that is up to each individual. But I am asking to now imagine an entire movie dedicated to this disease. Would we as a community embrace it? It’s a question that came to my mind as I pondered the possibilities. How would we react to a film that told the brutal truth to this disease; would we be willing to let people see the truths we deal with on a daily basis? Could we as a community…….’put it out there’? They say, in Hollywood, to be impactful it all has to be out there on a limb. I could not answer that as I thought about it and I am interested to hear what you have to say about it. Find a way to make a film both truthful and where the diabetes community would embrace it, knowing that it would be a rough film to make compelling enough that 2 people who have no connection to diabetes would pay $23 dollars to see it on a Friday night….think it can be done? Let me know your thoughts and should we find agreement, we can move to……lights, camera…………………….action.